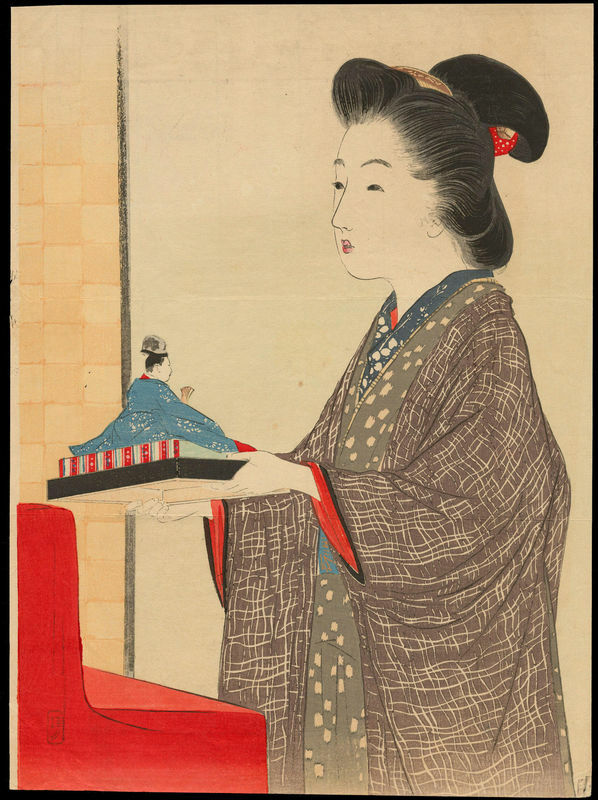 Keishu Takeuchi (1861-1942) "Girls Day Festival" - Woodblock - Chinese and Japanese woodblock prints for sale, silkscreen, scrolls, watercolor, lithographs. Artwork Details for Keishu Takeuchi (1861-1942) "Girls Day Festival"
Condition: Fine. Usual two kuchi-e folds. A spot in the mid-centre area. Notes: Gorgeous! Frontispiece of a novel, from Bungei Club magazine, vol. 18-4, 1912.